This series is among my children's favorites. My daughter is 3 and a half and my son just past 2. Both of them love these books. The first three books, Welcome Fall, Welcome Spring and Welcome Winter are carried all over the house by my son, and sometimes he begs to take them out with us. I think what he likes most is that each page has a different texture, and that the books all end with the child wrapped in daddy's or mommy's arms. This new one has a girl in it and he calls her by my daughter's name. The artwork is done simply but wonderfully. These books make an excellent collection for young people in your life. Lift the flaps, find the secrets! 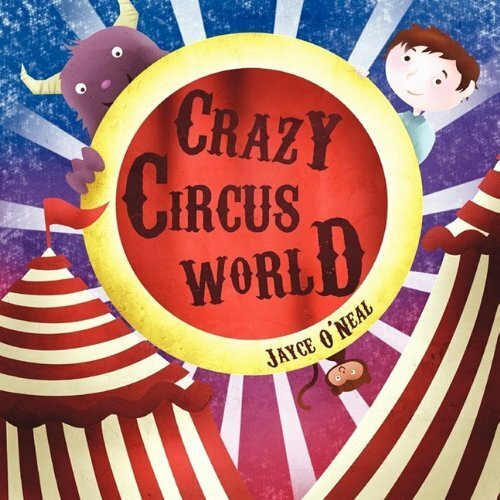 This book is full of mermaids, pirates, and all kinds of undersea creatures. It is also full of flaps to be discovered and opened, with different shapes and sizes hidden on almost every page. King Neptune is having a birthday party and is inviting everyone from those who live under the sea to the Pirates from Skull Island. The end of the book has a guide of all the things that were hidden to make sure you found them all. Great fun. Looking forward to some of the new stuff coming out over the summer, and don't forget to check out the Scholastic summer reading challange. Zoe Bent is a liar, and finding life in the 3rd grade very hard. Soon her fibs have turned her whole class against her, and she is feeling frustrated. It has reached a point that even when she tells the truth no one believes her. But she lies because she thinks she has nothing to say; other children wear better clothes, are great at art, are stronger, and she thinks telling big tales will be the only way she can get attention. However, she soon realizes that fibbing is making her life more and more complicated. 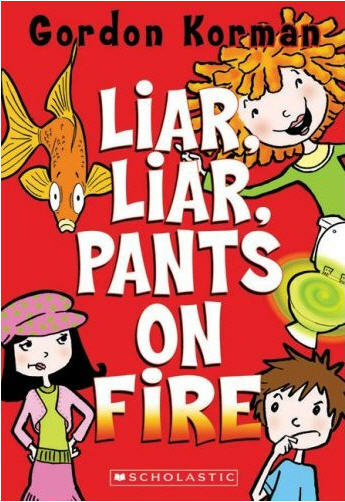 This is a great book for young children, in part because children do not need to be taught to lie - most just do it at some point. But this book will teach them the implications about becoming known as a liar. It also teaches them that what matters most is what is inside them not what they say or do. Therefore it is a great book with a valuable lesson. Barbara Reid is a world renowned Plasticine artist. 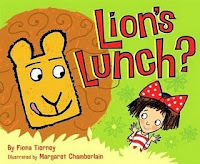 In this book she takes a story about the love between a mother cow and her new calf and creates a fun board book for children of all ages. With 15 full pages of illustrations and embellishments on the pages facing the text, this will be a fun book for the young children in your life. I love Madeleine L'Engle and her book A Wrinkle In Time. This book makes numerous references to both. When I met Madeleine L'Engle at a conference a few years ago she stated that her characters are alive to her, and every now and again she will realize something new happened in their life. This book has that feel; as I read it, and even after finishing, I found myself thinking about the characters - where they are now, what they are up to. I think L'Engle would have loved that about this book. The story takes place in a very small geographic region in New York City, focusing around a 6th grade girl Miranda, her friends and family. She finds a note indicating that the author is trying to save her friend's life and their own life. The author of the note indicates that they know the future and give her dates and times of events yet to happen to prove they are telling the truth. What they are asking for in return is that Miranda tells them her story, specifically that she write it out and when the time comes she will know who to give it to. The story is wonderfully written from Miranda's perspective, looking back on the past few months. It is about lifting the veil between what we perceive and what is real, what is actual and what is possible. It is about the potential in humans for growth and change. C.S. Lewis stated "For now we see through a glass, darkly; but then face to face." This book helps to wipe some of the dirt and grime off the glass and allows us to see a little more clearly. Yes it is true the story became predictable, especially for a fan of L'Engle, but the way it happens still makes it worth reading. It is a wonderful book - a book about hope, a book about change and a book about coming into yourself. If Stead's writings continue to ask questions like this one, does she have the potential to become a favourite author of mine, and maybe even a legend like L'Engle? This series amazed me. I devoured the four books, and was elated by the ending, but left wanting more in the story arc. According to the author's website, that might be possible. We can only hope there will be more books featuring Derek Stone. Derek always thought he was just a normal 14 year-old, but now he knows that is not so. He is being chased by dead people, reanimated by returned souls; he can hear them and feel their presence. He can see ghosts. Along with the reanimated body of his brother and a coma survivor, they are the last hope of humanity. But will he become evil to defeat evil, and will he sacrifice his humanity to save all of humanity? 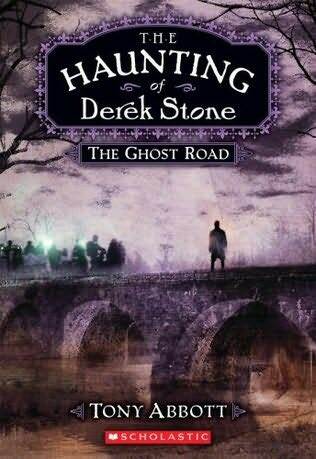 These are questions Derek struggles with in this the fourth book in the Haunting of Derek Stone Series. These books were great, and they would make an amazing movie or TV mini-series. The story is compelling and highly addictive. You feel for the characters and realize the issues they are struggling with have deep personal consequences. All in all, the four books were riveting. Tony Abbot amazed me with this series. I could not have told you his name, but I was aware of his series The Secrets of Droon, yet had not read any of them. The fact that he has over 70 books published means that if they are all the calibre of this series I have a lot of good reading ahead of me. Tony Abbott is most known for his Secrets of Droon series and his bestselling novels, Kringle and Firegirl. He is the author of over 70 books, many of which are now on my to-read list. This was a great cardio workout. But it is also great for other reasons. I think the greatest strength is that it teaches us how to shake things up. 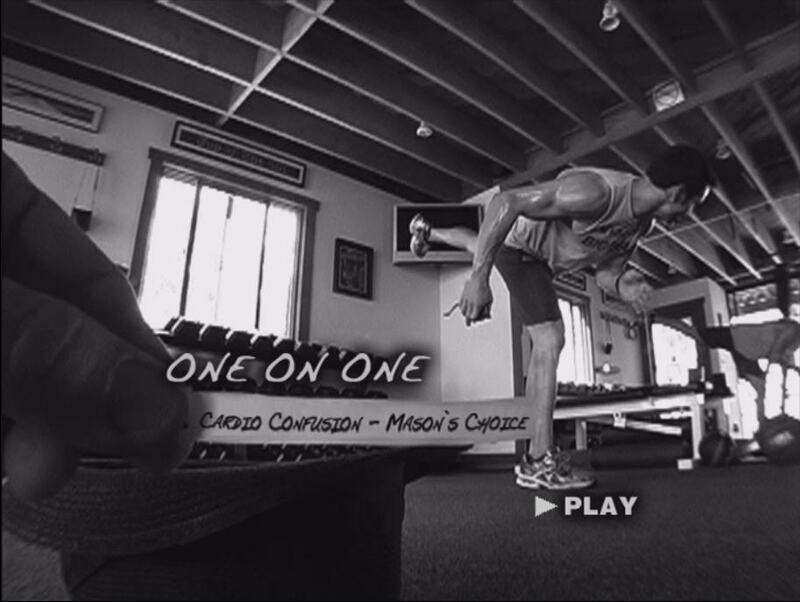 I just started a 3rd round of P90X/One on One Hybrid. I am going to use this concept and pu ll workouts at random each day from that category for the 90 days. 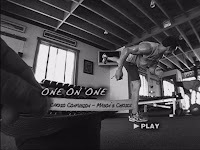 One of the Guys on the Beachbody Message Boards even created a workout Generator along those ideas. 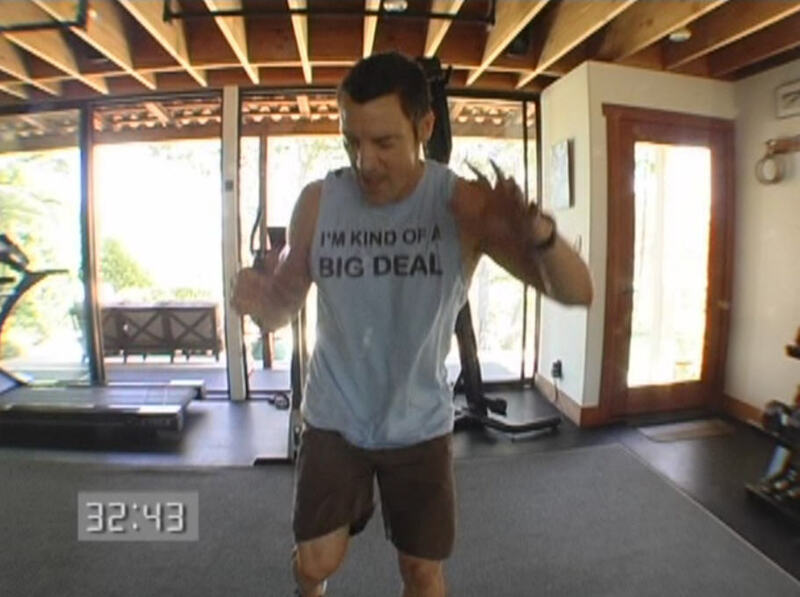 I was thinking the same thing as I did this workout the first time. 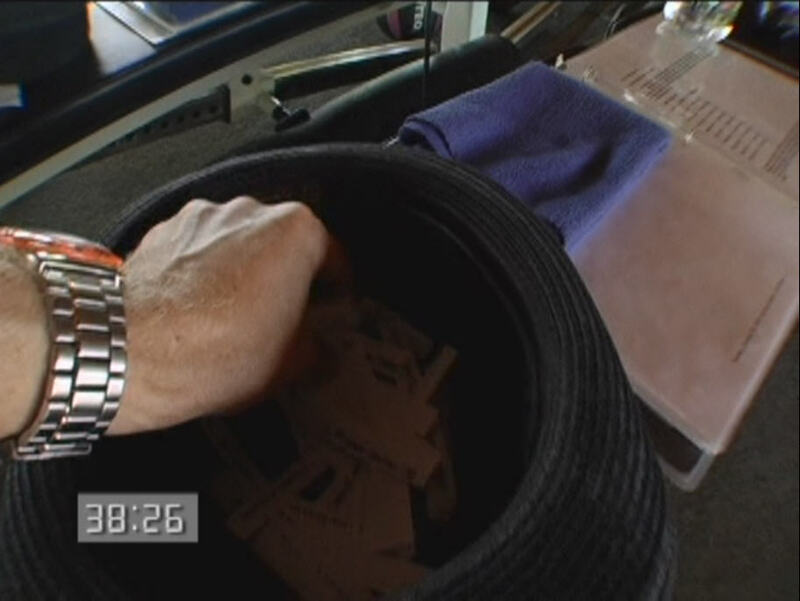 Basically for 30 minutes Tony lets Mason Bendewald pull exercises from a hat. We see those Tony gets and a few that he doesn't. 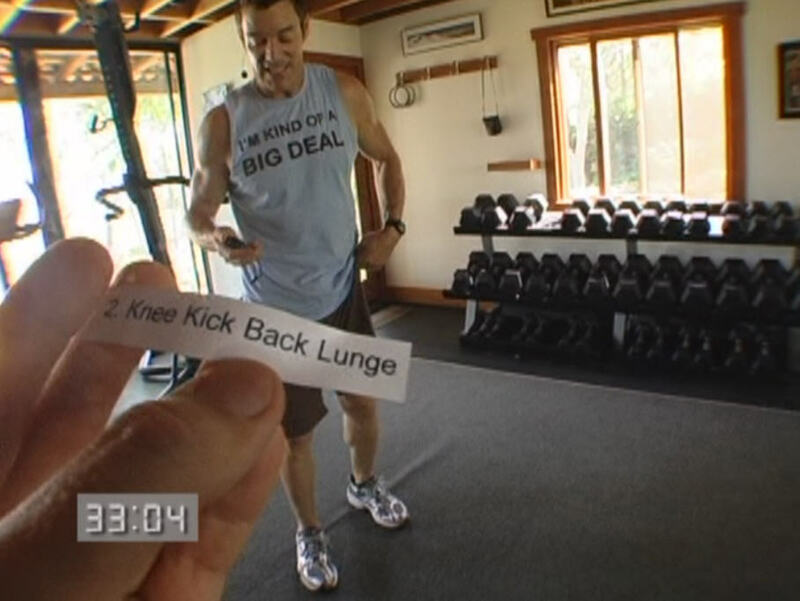 The exercises are pulled from his earlier One on Ones, P90X, P90X+ and Power 90 series. 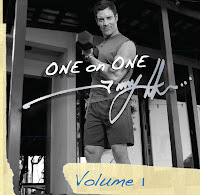 There is a great discussion about the possible exercises on the Beachbody Forums. 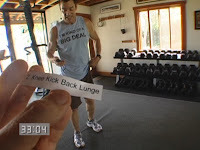 It is a fun workout, with lots of change ups. It will get your heart going. 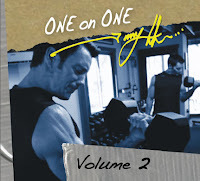 This is one of my new favourites from Tony Horton. 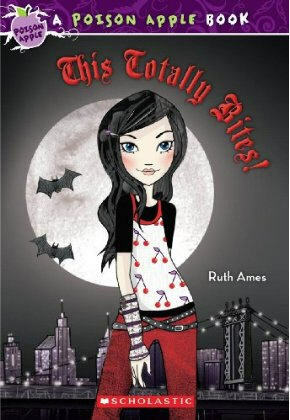 In this great new series from Scholastic Press, Scholastic Goes Goth. It is shaping up to be a dark off-shoot of their popular Candy Apple Books. This new series, Poison Apple Books, starts with 2 out this spring, one in August and another in the fall and it looks amazing. These books explore such things as ghosts, vampires, haunting and other darker tales. Unlike most fluffy books for young girls these tales have a little more grit but still have some humour and really fun reads. 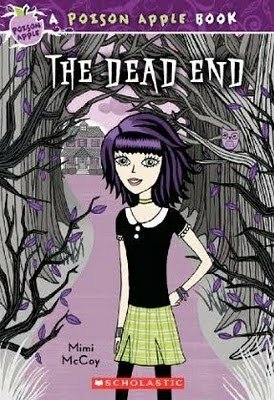 Emma-Rose Paley is a twelve year old with a love and fascination with all things dark, from her black and purple wardrobe, to her black shag rug in her room, with pink skull-and-crossbones wallpaper. She is not quite what you expect from a middle grade student. Her mother would prefer if she wore pastels and acted a little more girly, but what can you do with a stubborn girl? Then her great aunt Margo arrives from Transylvania - tall, dark, ageless and cold to the touch. Emma discovers her family comes from Transylvania, and her great aunt looks ageless. She also looks just like Emma-Rose with dark hair, blue eyes and sharp incisors. Emma now thinks that she has uncovered the reason she is so different; she just might be a vampire, just like her great aunt. Soon she hopes so, for she is finding an inner strength from seeing herself as a vampire. She stands up to the class president, plans the school dance, and believes she has been invited to a ritual to turn her from a fledgling into a full fledged vampire. Her best friend Gabby thinks that she is crazy and this causes a rift between them that seems irreparable. 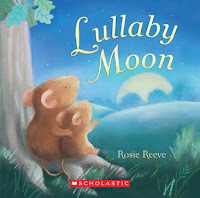 While at the library, she meets Henry Greene, a guy from school she likes and who, it appears, is into folklore and legends, and he thinks that she just may have something. 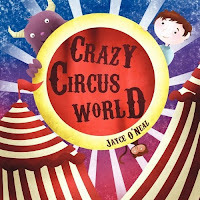 This second book out is in a new Scholastic imprint, Poison Apple Books. It is cool, hip, and fills a niche for those attracted to something a little darker at a younger age. 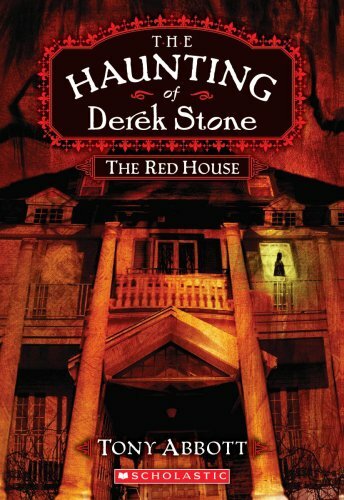 This third book in the 'Haunting of Derek Stone' series is a roller coaster ride. It is fast-paced and the story arc progresses dramatically. Book 2 Bayou Dogs ends with plans for Derek, his brother and Abby Donner to meet in Baton Rouge. Abby leads them to the school library at the Louisiana State University. There they identify the Red House in the picture from Derek's past. Other things from Derek's past keep coming to light also, like a mysterious appearance of his mother. While discovering secrets about his family's long history in Louisiana, and part of his legacy as a Longtemps, he also finds out that his great, great grandfather discovered the rift 150 years earlier and managed to find a way to close it. But the three are now pursued by an army of hundreds that have crossed over the rift. Can they find the way to close it? We will need to read on to find out. Tony Abbot is most known for his Secrets of Droon series and his bestselling novels, Kringle and Firegirl. He is the author of over 70 books. And now for a look at each of these pieces and see where a simple wish can take us. 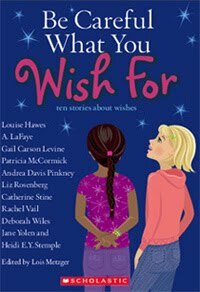 What would you wish for if you went to a school and everybody in the 6th grade got a wish and knew it would come true? Now you know you need to be careful because you do not want Post Wish Trauma, and your wish will only come true for the week. Or what if you cannot decide on a good safe wish. That is the situation for Tam. You think your life stinks. Your older sister got the looks, the brains and the talent. Then one night at dinner you get a fortune cookie different than everybody else's. The owner says it is like a scroll fragment monks use. You think you might have a real wish. What would you wish for - to trade places with your sister, to make her pay? … read and find out. Every day you wish for a pet pig. You dream of the pig, you have conversations with it. Your mother and grandmother mock your dreams and consider you sour when you sit and wish and dream. But maybe wishing isn't so bad after all, especially if you share your wish with a new friend. Five little genies trapped in a jar. One grumpy man trying to make careful wishes. But maybe one genie would be bad enough but trying to outwit five? Heaven help the man. Ever wish one day you would wake up and be told your family wasn't your family? There was a mistake at the hospital, you were adopted. What if it happened your cousin told you that you were, and you started to believe it? How would you determine the truth? Would you try the scientific method? You and your arch rival at school end up in a fashion-walk off for history class. How did you let that happen to your tomboy self? Read and find out. This is an incredibly moving story. It almost brought me to tears. Who has not been touched by cancer? Best in the bunch. How would you react if, when you hit a rock with a Karate punch you woke a Genius Loci? You ask him to fix your family because you just learned that your parents are splitting up. He laughs at you and tells you it isn't his department. But maybe he sends his friend to visit you - a fairy godmother. You know wishes in stories don't often work out the way you expect, so you are very careful about the wording you use. So how come everything seems to be going sideways? You wish your twin brothers would be quiet, or considerate or even just less obnoxious. But then they go missing at a truck stop. Would you really wish them gone? You are poor, at a new school and in a new town. You wish for just one friend, a real friend. What if it seems your wish is coming true? And yet things are not always what they appear. But sometimes, just sometimes, we do realize our wishes. Read and find out how. This collection was a good collection of short stories, but not really my favorite. I had read another collection Bites! Stories to Sink your Teeth Into, by the same editor. This one is a little too much Chick-lit for me. But good stories overall and would definitely be good for younger female readers. Again, as a tribute to Metzger's editorship, there was not a story that I really didn't enjoy. Scholastic goes Goth, or at least dark and scary. This new series by Scholastic Press has some great potential - it looks like a dark off-shoot of their popular Candy Apple Books. This new series from Poison Apple Books starts with 2 out this spring, one in August and another in the fall and it looks amazing. I have read advance copies of the first two and they were great. Derek's life keeps getting stranger and stranger. For a boy who likes plain facts and doesn't like make believe or fantasy, his life has turned upside down. 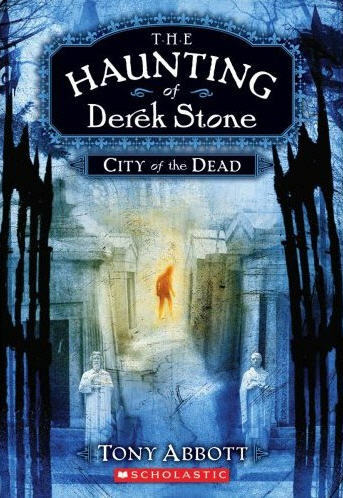 In Book One, City of the Dead, Derek is in a train wreck; he survives but believes his brother and father are lost. Then a number of weeks later his brother turns up, and it is his brother, but he is changed. The dead are coming back and they are waging a war between darkness and light. And darkness seems to be winning. For some reason the dead that have come back keep looking for and finding Derek. They believe he has knowledge about how to open the rift between the two worlds.In this instalment, Derek and his 'Brother" are chased all over the French quarter of New Orleans. They are aided by an old musician, and their father reappears and enters the battle to help them. 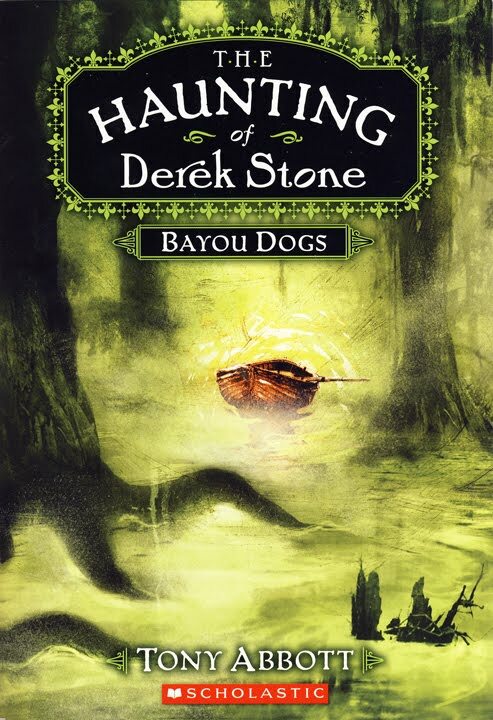 He gives them clues that lead them to Bayou Malpierre, a place that haunts Derek because he almost drowned there a few years earlier. The story in this segment progresses well - more enemies from the land of the dead manage to cross over. Abby Donner, another survivor from the train crash, wakes from her coma and Derek finds her and seeks any information she can remember. Yet again it leaves us with a cliff-hanger and eagerly waiting to start book three. I stated in my first review that I believed the books could be marketed to teens or an adult audience by being combined into one longer volume. This second book further convinced me of the fact. Tony Abbot is the author of over 70 books for readers both young and young at heart. 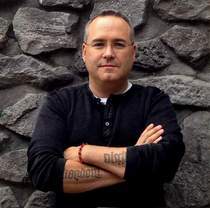 He is most known for his Secrets of Droon series and his bestselling novels Kringle and Firegirl.